I’m encased in seven-and-a-half tons of high-density American-made steel, with a 37mm Gun M1916 on the business end of my World War II tank. Which may sound impressive enough, but I’m actually one of the smallest and weakest vehicles on this battlefield. 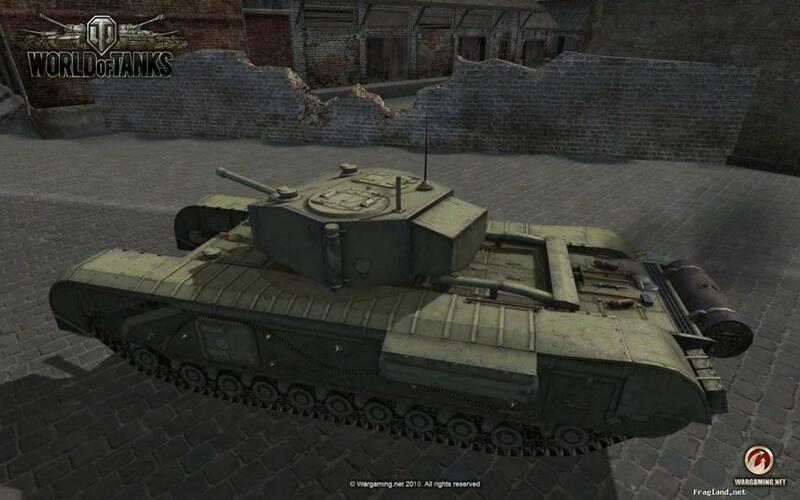 I’m in a T1 Cunningham light tank, to be specific. 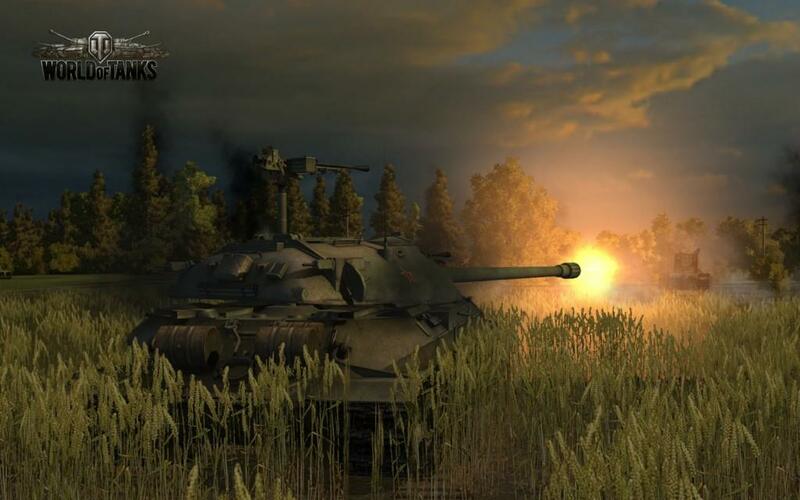 It’s the USA’s newbie tank, and it’s only one of 150 authentically crafted tanks, tank destroyers, and self-propelled guns found in Wargaming.net's World of Tanks. In my newbie tank, I’m watching a 30-second timer countdown the start of my very first match, and I’m going to be honest: I haven’t got a clue about how the next 15 minutes will go down. If you’re not the sink or swim type, then hit up the World of Tanks wiki before you click the Battle! button, because there’s no in-game tutorial to hold your hand. There’s also a 72-page game manual (which isn’t as dense as it sounds) for those of you that still remember how to read those. I certainly don’t. So if you’re like me then you prefer the learning-by-doing approach anyway, and it’s startlingly easy to throw yourself into your first battle. In a loose formation around me, also watching the countdown timer, sit multinational allies from Germany, USSR and, yes, the good old US of A. The map is called Malinovka. It’s a lot of Russian farmland and yellow grass, sloping up and down at very gentle grades, and the map even sports a windmill or two, not to mention a couple bombed-out building husks. Apparently we’re not the first motley crew of tanks to war over this land. This place has already fought for its life -- and lost it -- many times before. The countdown timer nears zero. I get ready to roll out. 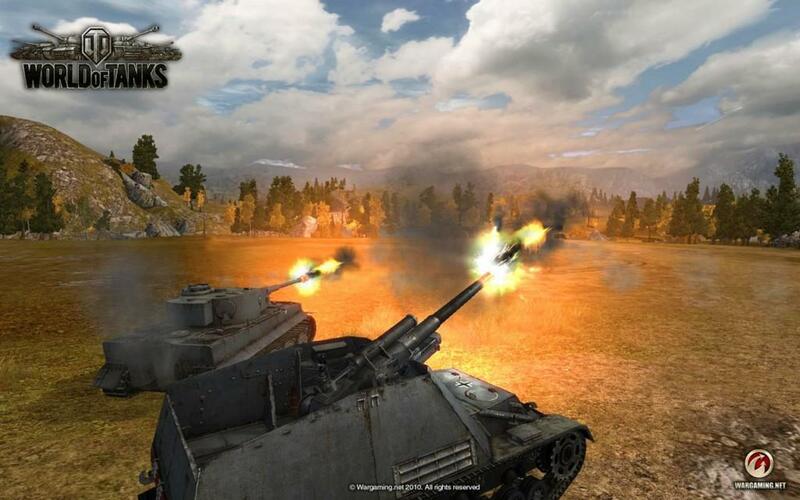 World of Tanks is team-based massively multiplayer combat where 15-man teams either capture the enemy’s base or destroy each and every member of the opposing force. It’s also free to play. But that’s not its best hook. What hooks you is the money and experience grind, and the deliberate climb up the tech tree. I know that doesn’t sound thrilling, but if you only need a few thousand more credits to buy the next tier of tank, or even just the next tier of engine or radio, just-one-more-turn-itis can worm its way into your schedule, making it hard to say no. No, tanks aren’t that pretty. Some bigger ones look suitably mean, but real-world tanks lack the shiny coat or offensively huge weaponry of science fiction mainstays like Gundam Wing or BattleTech. All in all, tanks are pretty samey on the surface: two tracks and a turret don’t spring much variety from model to model. While the game’s attention to detail is impressive -- right down to the shovel mounted on the rear of an American Light Tank M2 -- it’s the spreadsheet comparisons you’ll be making at the wee hours of the morning that will keep your eyes peeled. Which may be World of Tanks’ only problem: everything that sounds dull on paper -- the plodding pace of battle, the tech tree grind, and the pedestrian maps -- is actually what makes everything win. But that plodding pace of battle? It ramps up the intensity when two 50-tonners are playing peekaboo around the smoldering carcass of an evacuated residence. The tech tree grind? Being inches away from what’s coming up next in your garage can make the grind feel worthwhile. Or those pedestrian maps? Just because there isn’t a cataclysmic fault line or a dragon’s lair embedded in them doesn’t make them any less beautiful. In fact, considering how precisely engineered each tank is recreated, the lie of the land is more important to a tank commander than to a golfer on a putting green. New maps, however, unlock too slowly for tier 1 players. Even though there are 21 maps in total, new players shuffle through the first three for entirely too long. “Terrain fatigue” creeps in, and when you become too familiar with any one thing, familiarity breeds contempt. The variety across the full lineup of maps, however, is great, and no landscape exists without a strong basis in reality. There are rail lines splitting cities from the country, hilltops mined for resources or holding up looming castles, abbeys flanking lake sides, palm trees dotting dusty oasis, and frozen pines towering over snow drifts. When you approach a map for the first time, “What do I do now?” is a likely and legitimate response. On the older, more familiar maps, you learned about the choke points, the no man’s land, as well as the sweet spots. Now, as the orders of a field commander would be reassuring, you’ll probably look to the chat tab for guidance. Sometimes a friendly player steps up to the plate and makes a plan. It might not be the best, but any plan is better than no plan. Unfortunately, most of the community is modest and unwilling to call any shots, or simply assumes that everyone knows what to do already. Considering the deliberate nature of the gameplay, most players are unwilling to engage in too much derring-do. Often the only time you’ll see anybody say something in the chat tab is when your forces have been decimated and someone shouts, “Back to base!” Or, vice versa, you’ve drastically reduced the opposition and someone starts spamming, “Attack!” It’s not all random battles and pick-up groups, however. Tools are in place to form platoons of up to four tanks to facilitate voice communication and strategy swapping between players. 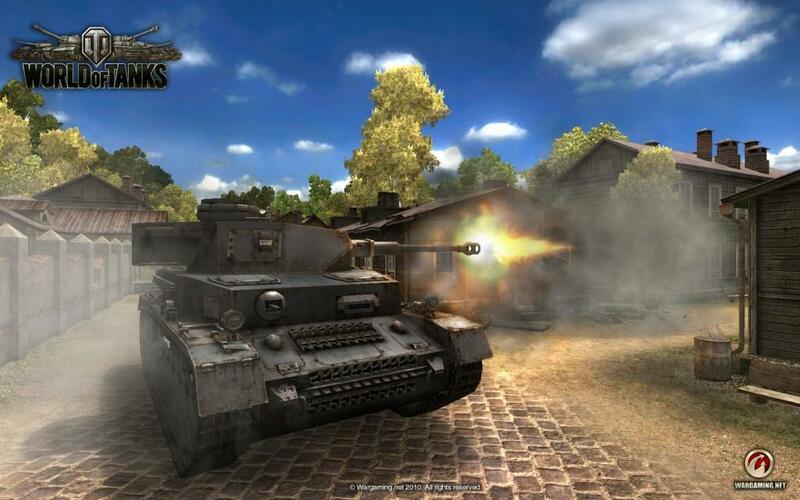 Further, 15-player clans can form out of players with tier 5 and above tanks (there are 10 tiers), and take on the Clan Wars aspect of World of Tanks. Clan Wars is a related -- though separate from the random battles -- browser-based and turn-based strategy game taking place on territories drawn across much of Europe and Prussia. 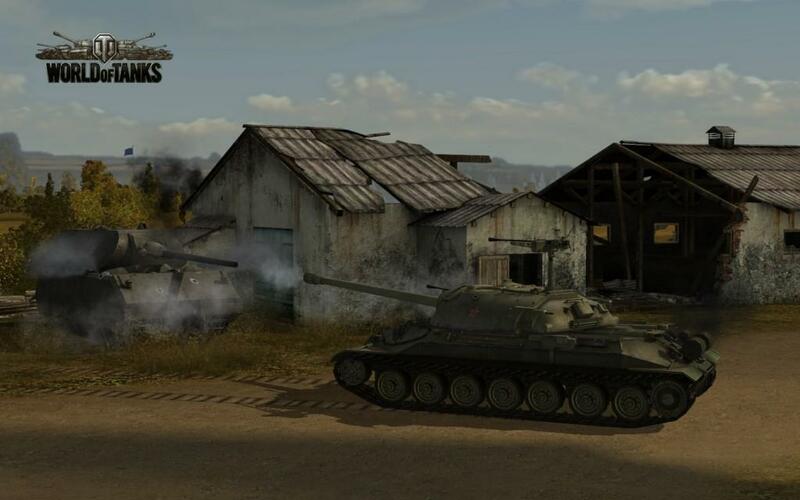 Clans vie for control of the map and then pummel each other on the World of Tanks game client’s real-time maps. Think of the Total War series’ turn-based strategy map layered over its real-time battles on the ground and you’ve got the right idea. Sitting in my seven-and-a-half-ton front-line armored fighting vehicle, the countdown timer strikes zero and someone in the chat tab indeed yells, “Attack!” but also starts pinging an easterly route on the mini map. I turn my tracks to follow him. I’m slow. I’m passed left and right by faster, more agile, more experienced tanks, but I get on the dirt road and maximize my kilometers per hour. Running in a wolf pack of about five tanks, we meet the enemy in a hilly and forested locale, almost exactly at the halfway point between the two bases. I lose sight of my green-blip cohorts, and red blips start popping up all over my radar.That’s bad. My other allies in our flanking offensive took cover behind village homes and rock formations, or ducked behind large, concealing bushes. But I’m cruising down the middle of the road for all to see. I’m instantly lit up, taking hits from multiple directions. My tracks fall off, sparks fly across my gun’s sights, my driver is dead, and something is definitely on fire. The next hit takes me out of the match and I was only 90 seconds in. But I should learn more from my mistakes than my successes. And even though I’m knocked out of the fight, I can still spectate around with cameras following all the other tanks on my side. I was correct: for the most part, everyone is indeed playing a deadly waiting game, though not as deadly as the flanking charge I’d signed up for. A few minutes later the battle is decided and a triumphal hymn carries us to the match’s final standings. We’d won, no thanks to me, but I intended to change that on my next match. The last thing I needed to be was a hero, and now, over a hundred matches later, I’m still learning that lesson. Unique and confident in its place in the free-to-play world, this team-based MMO is a surefire winner, balancing fun with depth and detail with action.